The opportunity to collaborate with an organization on a production and focus what begins as a broad scope to the content that can speak to and impact an audience is deeply rewarding. 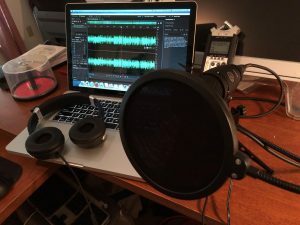 At MissingWordSolutions.com, we spend a great deal of time listening and asking questions of our clients before we plan out the first segment and begin the actual recording. Our work with Dart Transit is a great example of approach to podcast development. MissingWordSolutions.com has collaborated with Communications Team at Dart to produce more than 70 podcast segments over a year’s time. We have worked together on exploring topics of particular interest and developing features that resonate with our target audience. To hear selections from the Dart Network Podcast, please click here. In early April of 2017, the Tennessee Trucking Association brought a delegation of its members to the Nation’a Capitol for the Call on Washington program. MissingWordSolutions.com is an allied member of the Tennessee Trucking Association and presented the idea to interview some of participants in the Call on Washington for a podcast series. Among those interviewed in the five-part series are Dave Manning, the incoming Chairman of the American Trucking Associations, and Todd Womack, Chief of Staff to U.S. Senator Bob Corker of Tennessee. To access the TTA Podcast Series and hear other podcast productions from MissingWordSolutions.com, please click here.